Can I just say my kids would go BANANAS for these Moon Glasses by Tale. Both Mister M and Miss E are really intrigued by the moon and the different phases these days, we read the Carle book - Papa, please get me the moon for me, every night. So it's no wonder these caught my eye! 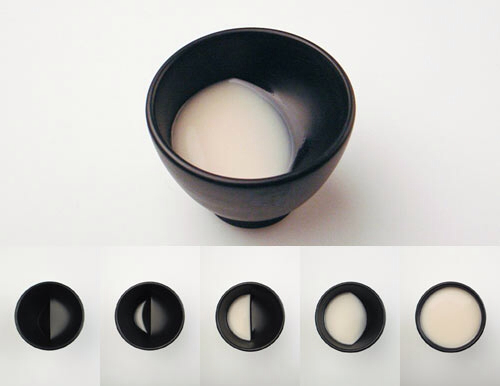 The ceramic cup shows a full moon when it’s full of liquid, then as your drink, it slowly unveils a half moon, then a crescent-shaped moon and then just fill it up again... They are intended for sake, rice wine or tea, but nobody said you can't drink milk in them! They come in black or white and in two different sizes. Now I just need to figure out where to buy them!